Rediff.com » Movies » What do you think of Elli AvRam's Chamma Chamma? Elli AvRam steps into Urmila Matondkar's shoes for a reprise of the unforgettable Chamma Chamma song. Urmila Matondkar's song, Chamma Chamma, from China Gate became an anthem when the film released. Elli Avram will be seen dancing to the same song in the film Fraud Saiyaan, directed by Manish Bhatt. 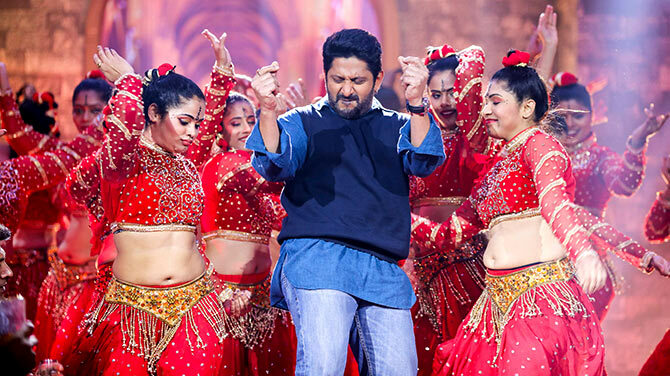 Chamma Chamma was shot in the presence of Kumar Taurani of Tips Music, with whom the rights of the song remain, producer Prakash Jha, stars Arshad Warsi and Saurabh Shukla. The new version of the song has been choreographed by Adil Shaikh, recreated by Tanishq Bagchi and sung by Neha Kakkar.